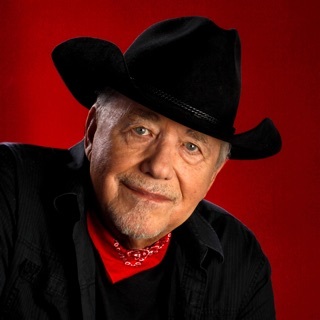 Dave Dudley (born David Darwin Pedruska, May 3, 1928, Spencer, WI) is the father of truck driving country music. With his 1963 song "Six Days on the Road," he founded a new genre of country music -- a variation of honky tonk and rock-inflected country that concentrated lyrically on the lifestyles of truck drivers. Dudley had a string of Top 15 singles that ran through the '60s, while he continued to have Top 40 hits well into the '70s, establishing himself as one of the most popular singers of his era. At the age of 11, Dudley's father gave him a guitar, but he had his heart set on being a baseball player. Throughout his teenage years he played ball, becoming a member of the Gainesville Owls as a young adult. However, his career was cut short by an arm injury. Following his retirement from baseball, he became a DJ at a local Texas station, where he would sometimes play along with the songs on the air. The station owner encouraged to become a performer, and Dudley followed the advice. Dudley moved to Idaho in the early '50s, where he formed the Dave Dudley Trio, which didn't have much success in its seven years together. In 1960, following the breakup of the trio, he moved to Minneapolis, where formed a group called the Country Gentlemen, which quickly built up a dedicated following. His career was thrown off track in December of 1960, when he was struck by a hit-and-run driver as he was packing his guitar into his car. After several months, he was recovered and managed to secure a record deal with Vee Records. His first single, "Maybe I Do," was minor hit in the fall of 1961 and was followed by another minor hit, "Under Cover of the Night," the following year on Jubilee Records. In the summer of 1963, he had his breakthrough hit, "Six Days on the Road," which was released on Golden Wing. The song became a massive success, peaking at number two on the country charts and making the pop Top 40. That same year, he signed with Mercury Records, releasing his first single for the label, "Last Day in the Mines," by the end of the year. Throughout the '60s, he had a long string of truck driving singles, including "Truck Drivin' Son-of-a-Gun," "Trucker's Prayer," "Anything Leaving Town Today," "There Ain't No Easy Run," and "Two Six Packs Away." By the end of the decade, he was also making conservative, good-old-boy anthems as well.